WOW THAT IS SO COOL!! i hope mine turns out like that!!! WOW!!!!! !So beautifully done!!!!!!!! !Like the way you mixed the colours and put the colours in the right order!You must be working hard! wow mrs venille you're the best at art!!! OMG! that colour wheel look amazing i'm so exited for mine to turn out like that. Wow! so beautifully done we like the way you mixed the colours and put the colours in the right order.! Excellent work Mrs Venville. 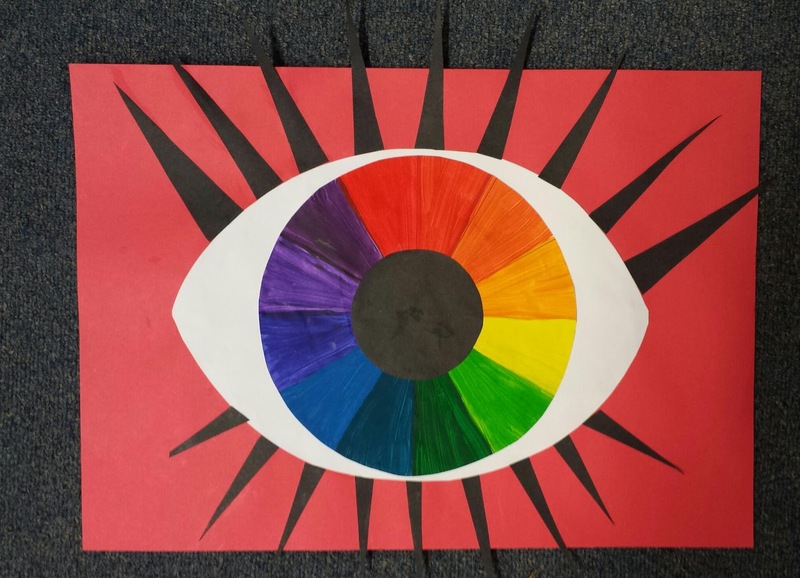 We really like your bright colours on your gigantic eye.How long did you take to do the colour wheel?We hope our 'eyes' look just as just as beautiful as yours! Awesome colours. We really like your bright colours, Mrs Venville. That looks awesome! I wish my eyes look like that. We made a colour wheel in our class too. I like the way that the colours are blended together.